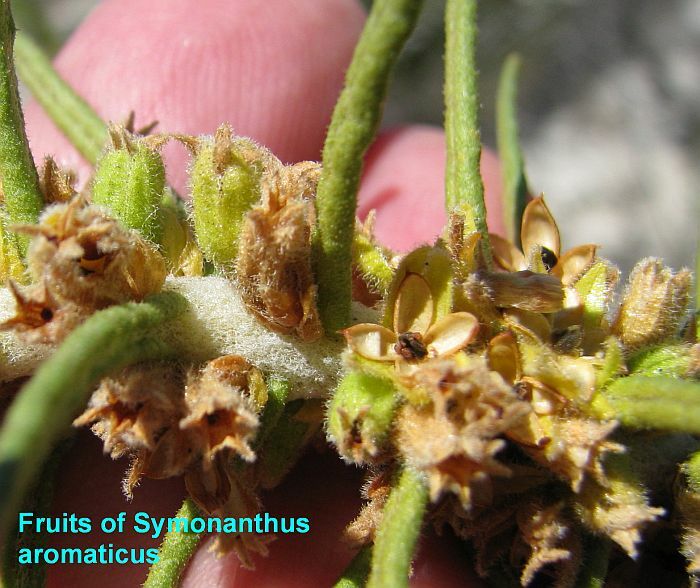 This unusual plant was known as Anthocercis aromatica, but has now been moved to the Symonanthus genus, although still within the highly diverse Solanaceae family that contains human food plants like the tomato, potato, chillies, etc. 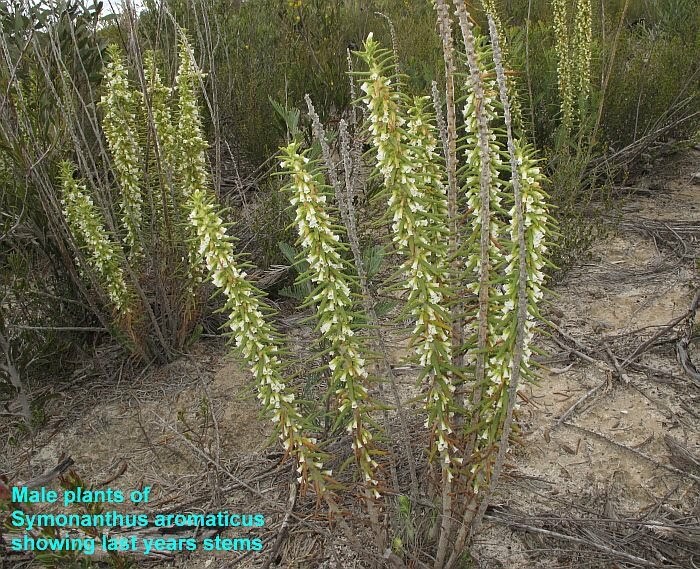 However the chemical properties of this particular plant is more akin to the Angle Trumpet that has been known to kill people who have indulged in its mind-altering properties. 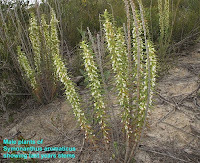 Symonanthus aromaticus has a limited distribution where known only from the far NW of Esperance, favouring a fine sand/clay over limestone in elevated situations and hollows. 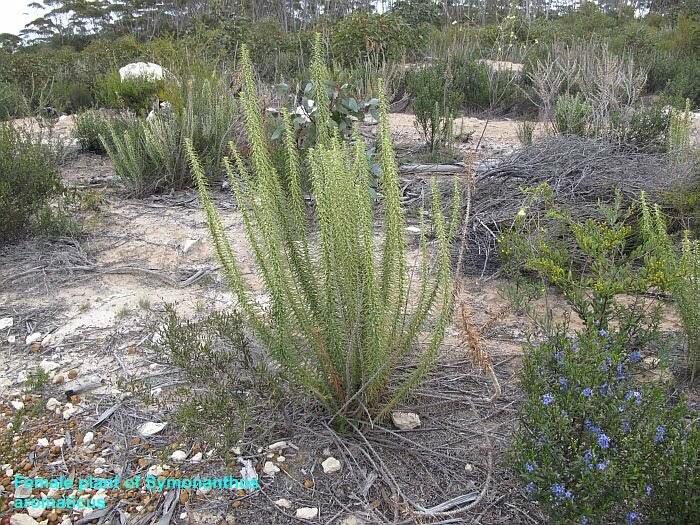 Here is can form large but localised colonies, particularly after fire or soil disturbance and taller vegetation removed or reduced. 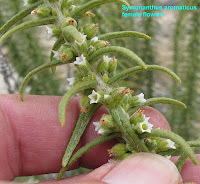 The plants produce a number of near vertical stems (to 1.5 metres or 5’ in height) that are swathed in flowers, but die back to the rootstock during hot/dry summers, to send up new shoots the following season. Most notable about this plant is the very strong odour that emanates from the foliage and flowers, the former being quite overpowering, but is tempered greatly with the latter into a strong, long lasting and not unpleasant fragrance, which I suspect would be a welcome addition to any potpourri. The fragrance seems to be stronger during the day possibly to attract diurnal flying insects, like flies, wasps, beetles, etc, but is still quite pungent at night, so no doubt will also attract nocturnal pollinators. 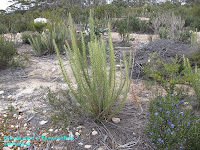 There are exclusively male and female plants, but they can be easily distinguished as the male flowers are slightly longer and far more numerous. There is not much difference in the flower diameter of either gender, but the male corolla is noticeably elongated, plus will have a longer pedicel (stalk). 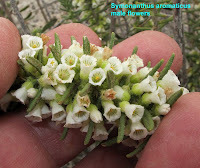 The length of female flowers only just exceed the calyx, which are either shortly stalked or quite sessile (without stalks). This floriferous difference draws greater visual attention to male plants whose floral display can be spotted from a distance, whereas you need to get much closer to notice female flowers. 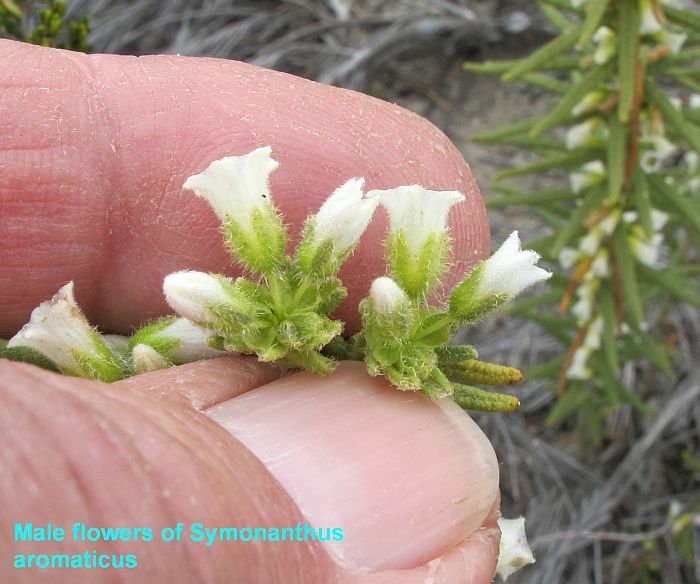 Most colonies of this plant I would regard as being outside the Esperance region, but the above photos were taken from an increase of their distribution to 110 km (70 miles) NW of Esperance off the Neds Corner Road extension. Flowering is recorded from August to November, although this colony in 2009 had finished by the end of October.